Most wedding rentals companies have an extensive inventory of all the wedding decoration rentals you’ll need, including table and wedding chair rentals, specialty linens, centerpieces, tents and canopies, dance floors, sound and lighting, draping, china and stemware, and more. Wedding rentals are not just for the big day either. 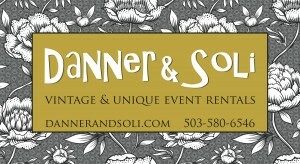 Use rentals for wedding related gatherings like showers or rehearsal dinners! Browse our list of some of the best wedding rentals Portland, Oregon, and Southwest Washington offer, and make everything you've dreamed about a reality on your wedding day.